Sat., SEPT 8, 2018 @ Riverside Park, Guelph, On. Registration 10am, Walk begins 11am! Silent Auction items, BBQ and loads of fun! Register or Donate Online to our Walk! The Pet Valu Walk for Dog Guides is a national event with more than 200 Walks across Canada. This is the Foundation’s largest annual fundraiser and raises funds to help train Dog Guides for Canadians with visual, hearing, medical or physical disabilities. Held primarily in the spring, the Walks are organized by local volunteers with support from Lions Foundation of Canada and have raised more than $7 million since it began. Thanks to our newest sponsor Pet Valu and our national sponsors, 100% of the funds you raise go directly to the work of training and providing Dog Guides. Nestlé Purina PetCare Canada has been supporting Lions Foundation of Canada from the beginning. Why walk for Dog Guides? To help provide Dog Guides to the growing number of Canadians who need them. To enjoy a fun day out in your community. Walk with your friends, family, co-workers and dogs. Each Walk is organized by local volunteers and is truly a grassroots effort. Everyone is welcome – all ages and abilities – and you are not required to complete the route to take part in the festivities. Everyone is a winner! The money you raise goes towards this important program and you could earn some great incentive prizes. There is no entry fee! You can feel good about knowing that 100% of your money will go towards the cause. Lions Foundation of Canada Dog Guides (LFCDG) is a national charity. Its mission is to provide service to Canadians with a medical or physical disability in the areas of mobility, safety and independence. Since 1983, Lions Foundation of Canada has operated Dog Guides Canada to provide specially trained Dog Guides to more than 1600 men, women and children from coast to coast. 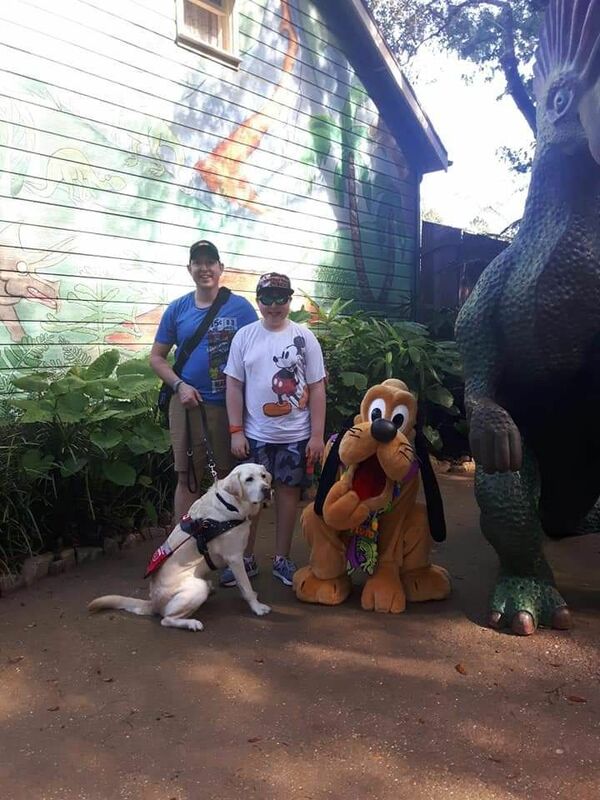 In addition to training Dog Guides for people who are blind or visually impaired, LFCDG also trains Dog Guides to meet the needs of Canadians with disabilities. All Dog Guides and required training, including transportation and accommodation, are provided at no cost to qualified applicants. The Foundation does not receive any government support and relies on the support of fundraising events and donations from service clubs, corporations, foundations and individuals across the country. The fact is that any of us, now or in future, could find ourselves seeking a Dog Guide. But, would there be one available when we needed it? It takes many resources to raise, train and place a highly skilled Dog Guide. From learning basic house manners to honing the skills required of them in service, it costs up to $25,000 to achieve this goal. Lions Foundation of Canada believes no one should be denied their independence as an active member of their community. That’s why all dogs are provided at no cost to recipients. And, that’s why we raise funds through the Pet Valu Walk for Dog Guides. Please contact Lion Jenn Pettis, Chair of the LFC Walk for Dog Guides (Guelph) for more information!